Holmes and Watson investigate four more mysteries in 'The Five Orange Pips'; 'The Man with the Twisted Lip'; 'The Adventure of the Blue Carbuncle' and 'The Adventure of the Speckled Band'. Clive Merrison stars as Holmes with Michael Williams as Watson in these adventures, part of the fully dramatised BBC canon of Conan Doyle's short stories and novels featuring the world-famous sleuth. 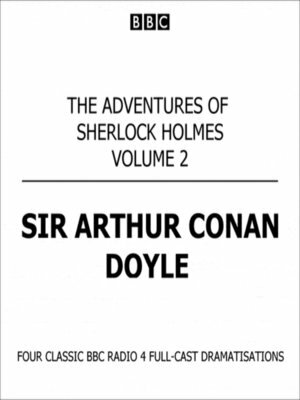 In these intriguing tales, Holmes and Watson solve cases that range from the bizarre to the deeply sinister. Gripping, suspenseful and hugely entertaining, they are guaranteed to appeal to any fan of the great detective.